Thankfully, Formula 1's modern cousin Formula E is a little more forward looking. On the same weekend that F1 suffered an embarrassing podium wardrobe malfunction on live television, the young upstart series swapped familiar grid girls for the altogether more inspirational 'Grid Kids'. 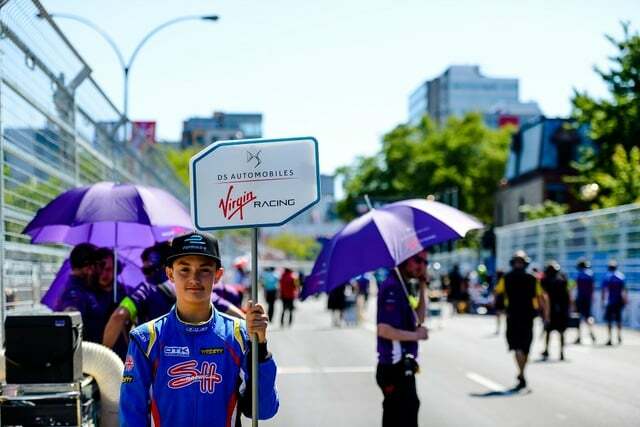 Although little has been said by Formula E about the change, the kids designated with the job of holding the driver boards appear to be local young racing talent - people who could one day be Formula E stars of the future. What an amazing experience it must have been for them to be alongside professional drivers, up close with race cars of the future and experiencing the atmosphere of the grid. Despite being under promoted (we watched both races live and saw no mention of the development), the idea seems to have gone down very well. Producer Hazel Southwell shared a picture ahead of the start noting, "One of the best things this weekend was the fact Formula E finally stopped using Grid Girls in favour of Grid Kids." TV Commentator Jack Nicholls echoed that sentiment, "Best thing about FIA Formula E last weekend? No grid girls, young racing drivers instead. Fantastic!" While WEC champion Allan McNish replied "That young lad is racing the karting world championships later in the year... excellent to see them all." We asked Lou Johnson, who took the above photo, for her insight from ground. I think they're a wonderful idea. Such a great idea for fan engagement, and the drivers and teams seemed to really interact with them too. I'm not sure there was anyone on the grid on Saturday or Sunday who didn't think it was a good idea. All of the kids I saw seemed to be loving their day, and were so enthusiastic about being involved with the race in some way. For young fans of motorsport, or upcoming drivers to get this sort of access and experience is wonderful. It's hard to explain but I kinda felt like the vibe was a bit different on the grid too, of course that could be because it was the 'end of term' but it seemed a lot more fan orientated, a lot more inclusive. I usually refuse to take photographs of the grid girls, in fact I don't think I've ever taken a shot of a grid girl in any series I've photographed. They've never seemed like an important addition to the story of the build up to the race. The kids, however, genuinely added something to the grid. It was such a wonderful idea and I hope that Formula E continues to encourage young fans into the sport this way. The smiles on their faces! Limited communication on the subject means it is not clear if this was a one-off trial or the long term future for the sport, but as Montreal was the final race of the current season we'll have to wait until December to see if the idea makes a return. All credit to the organisation for trying something new, even if they almost completely forgot to mention it at the time. We double-checked to be certain and it appears that all the drivers still managed to find their grid spots, fans knew who was meant to be where, no-one got injured and the race went off without a hitch. It seems like Formula E have managed put an end to any and all arguments on this debate in the space of a single weekend. Update: Formula E's CEO Alejandro Agag commented in response to positive feedback, "We should always do it. So basically... we will."